My name is Liz and I am the admin for Love Being Catholic. 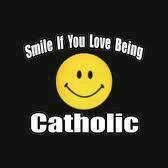 I am passionate about my faith, and this page is my little way of spreading the joy and beauty of our Catholic faith. This page is dedicated to Our Blessed Mother, and I pray is under her guidance and protection. 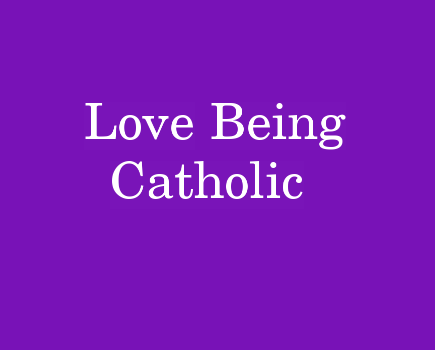 I started my”Love Being Catholic” Facebook page five years ago and post on it every day, beginning with the Morning Offering prayer, and try to post on this blog once a week. This page is for Catholics, fallen away Catholics who might be interested in re-discovering their faith, or for anyone interested in learning more about what Catholics believe and why we believe it. This page was not set up to bash other religions or Protestant denominations, or to try to convert anyone to Catholicism. (That’s the Holy Spirit’s job. )My mission is to spread the truth, joy and beauty of our faith and hopefully clear up some misconceptions that we all have come across from time to time about our Catholic faith. I wasn’t always this “into” my faith, but by the grace of God, while watching Saint John Paul II’s funeral several years ago, it struck me that I really did not know, understand, or appreciate my Catholic faith. I remember watching the funeral on TV, and thinking about how many people loved this pope, his holiness, and his love for Christ and our Blessed Mother. Saint John Paul II’s death actually started me on my journey back to re-discovering my faith. I realized at the time that I could not answer basic questions that my children asked me about what Catholics believed, and why we believed it. I went through the motions and considered myself Catholic, but really didn’t know or understand, let alone agree with many of the actual teachings of the Catholic Church. I remember asking a woman, who is now a dear friend of mine, why she was converting to Catholicism. I saw the love and joy that she had for Christ and the Catholic Church, and I wanted that same joy. This same woman prior to becoming Catholic was a member of a mega church down the street where she was very active and led several Bible studies, and yet she converted to Catholicism. I was used to hearing stories of people who had left the Church, so it was refreshing to learn why someone would want to become Catholic. I attended a Catholic High School in Atlanta, and graduated from the University of Georgia. I currently work planning events for a private Catholic School. I have three children, ages 19, 16, and 12, ten brothers and sisters, tons of brother & sister-in-laws, a thousand or so nieces and nephews, and am blessed with the best parents and in-laws a girl could ask for. (Next weekend my whole family is getting together to celebrate my parents 60 year anniversary!) I am also an 18 year breast cancer survivor. (Yay!) I want to personally thank all of you for praying for my husband and my family this past spring when he was diagnosed with heart failure. It’s been a challenging year needless to say, but we remind each other daily that God is so good and He has a plan. 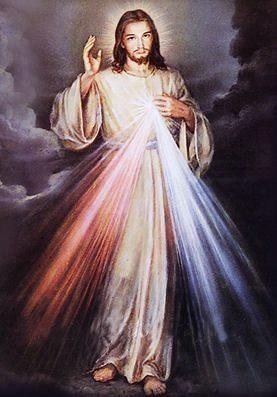 I am truly grateful to be given the gift of my Catholic faith, have a deep love for Christ and His Blessed Mother, and am so happy and humbled to be a member of His “One, Holy, Catholic and Apostolic Church” – though I fail miserably all the time. (Thank goodness for God’s mercy!) 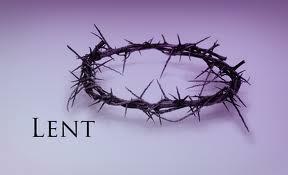 I am still learning and re-discovering my faith, enjoy sharing it with others, and hope you enjoy it too. That’s all – just wanted to say hello and thank you for following this blog! 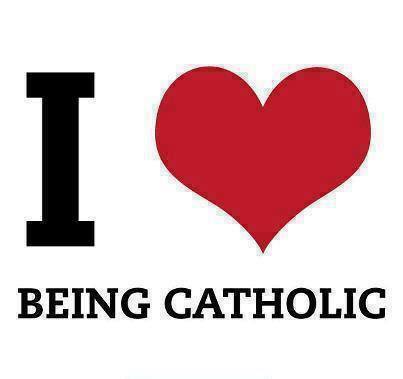 And one more thing, if you couldn’t tell, I Love Being Catholic! Thank you for sharing. I, too, Love being Catholic and reconnected as an adult. I continue reading, seaching, and studying. Sometimes I am a little sad that I wasted so many years being a lukewarm Catholic. God bless you and your family. Just came across your page here on WordPress and so pleased to find it! I converted to Catholicism when I was in my mid 20s, but I never really studied the Catholic faith until about five years ago. I have read so many great books about the faith, being Catholic, the history of the church, or in-depth spiritual books by some of the greatest of saints. It is so fascinating (and humbling!) to read about the one true church. God bless and keep writing!